Justs Sirmais es el nombre completo del cantante de Letonia conocido artísticamente como Justs. Nació el 6 de Febrero de 1995 en Ķekava, Letonia. Es el representante de su país natal, Letonia, tras ganar el proceso de selección que este país realizó para elegir su candidatura para Eurovisión 2016. Sirmais actuará en la segunda semifinal del 12 de Mayo con la canción titulada Hearbeat. La canción ha sido compuesta por Aminata, la representante de Letonia en Eurovisión 2015. Justs Sirmais is the complete name of the Latvian singer better known with the stage name of Justs. He was born on February 6th of 1995 in Ķekava, Latvia. 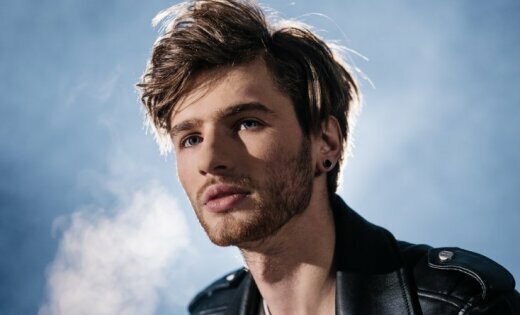 He is the representative of his own country, Latvia, after wining the selection process that this country organized to select their representation to Eurovision 2016. Sirmais will perform in the second semifinal of May 12th the entry titled Hearbeat. The song has been composed by Aminata, the representative of Latvia in Eurovision 2015.